Will the women finally headline a WrestleMania? In a recent interview conducted by Sky Sports, WWE Hall of Famer Mick Foley talked about WrestleMania 35 and the possibility of women headlining the event for the first time ever. Foley warned WWE that not letting the women close the show would result in massive fan backlash around the world. The 35th edition of the show of shows is less than a month away. The main events have been set in stone with Seth Rollins going toe to toe with Brock Lesnar for the Universal title, and Ronda Rousey defending her Raw Women's title against Becky Lynch and Charlotte Flair in a triple threat match. The Women's match has been building up ever since Becky Lynch turned heel on Charlotte at Summerslam 2018. Although the original WrestleMania plans were to pit Charlotte and Rousey against each other, Becky's sudden popularity forced WWE to modify the plans to bring "The Man" into the mix. All three women were recently featured in a list of the top 10 most mentioned female athletes on Twitter, with Lynch bagging the 2nd spot, just behind Tennis star, Serena Williams. Mick Foley, who himself has main-evented a WrestleMania, stated that this is the perfect opportunity for WWE to let the three women close the show. “I believe the women are going to main event WrestleMania this year and if they don’t, I think there’ll be a mass exodus of people from around the world." "I believe their time has come. Becky Lynch has succeeded in becoming the biggest name in our business and I think that’s great. She’s a good friend, she’s a wonderful person and it couldn’t happen to a nicer lass." Foley went on to add that Becky Lynch made the most of the opportunity she was given, just like Austin did back in the day. Foley couldn't be more right when it comes to Becky's popularity. The Irish Lasskicker has become the most mentioned female wrestler on Twitter, and was recently featured in a shampoo commercial for a major brand. The Women's Revolution has resulted in female WWE Superstars getting a chance to shine on the big stage, instead of being mere eye candies. The three women headlining WrestleMania 35 could be the biggest, and certainly well-deserved, achievement of the Women's Revolution. 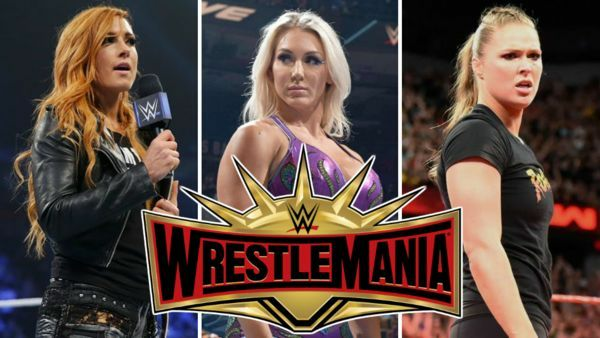 Would you like to see Ronda Rousey, Becky Lynch and Charlotte Flair headline WrestleMania 35? Yay or Nay? Sound off in the comments! WWE Rumors: Massive triple threat match to main event WrestleMania 35?